So I won a lot of pokemon tomys because I FINALLY spotted a legit electrode tomy and didn't see voltorb in the picture of the lot I won and the other lot of tomys with a bunch of beat up trainers. Well I message the seller asking if they have him and apparently it was in the other lot, but not pictured! It's like seriously alkdsjf;alkshdgls why the f*** would you put two figures that look almost exactly alike but switched in color in two separate lots? When you don't know what you're doing!? (can you tell I'm thoroughly frustrated at this seller?) Not only that it's not pictured ANYWHERE in the other lot. GRRRRRAWR! 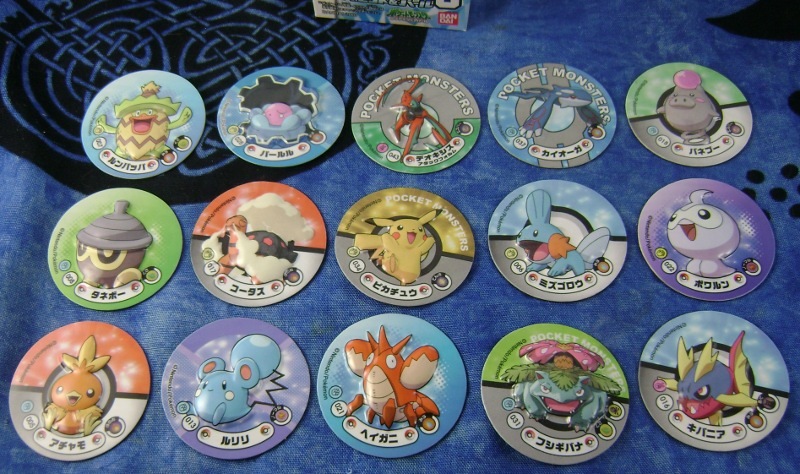 ANYWAY I'm desperately looking for a REAL Voltorb tomy (if a comm member bought the lot please consider this :C) and please DO NOT post any links to Y!Japan via Noppin or SMJ. After I got charged $25 to ship 1 kid to the US I said screw it it's not worth it. I desperately need this guy! 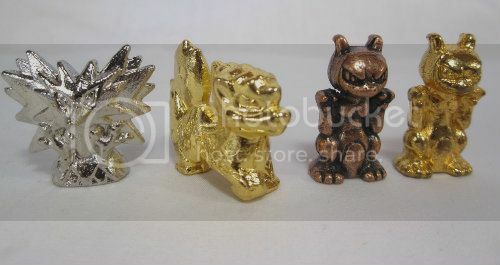 Please give these pokemon new homes, I desperately need them out of my room! Make offers, haggle! I don't mind! My name is Jenks, but you can call me Jenks, it's short for Jenks. 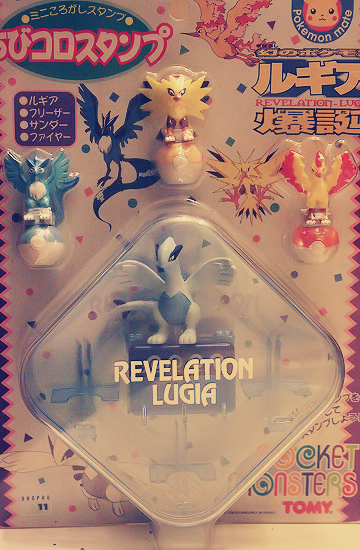 I've been on PKMNCollectors since May when romping around the internet led me here. It was kind of like a dream come true. I'd never been heavily into collecting, minus woopers here and there, but that quickly changed once I made an account and had money to blow. Anyway I'm a 20 year old college student for media arts and animation, I've loved Pokemon since it first aired in the US all those years ago, and this community is killing my wallet. Now prepare for a little more of an intro and some much delayed collection pictures~ And a quick picture by yours truly to spice things up. WARNING POST IS IMAGE HEAVY! Aside from the merchandise that was offered to the public, there were a couple things available for competitors only! We also had our meetup, but decided to get together again the day after the meetup to hang out and have lunch - cut below for a group photo! moltres93 and a couple others actually took quite a few photos other than the group picture here (like some of us at the restaurant), but this was what I had in my camera! It was a privilege to meet all of these wonderful collectors from all over the world - what better chance would I get to see people from the UK, Hawaii and Australia other than here at Worlds? **New Modpost 8/10/12** Please read if you haven't already! We have only 1 1/2 hours until the Little Bit O' Everything GA ends! Get those final bids in, but remember, no sniping! So we'd like to invite you on our trip out! 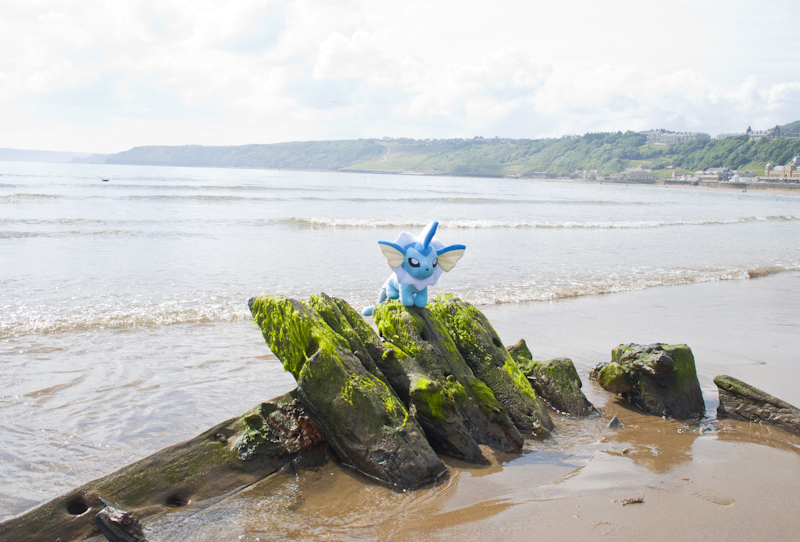 I don't think they will, Vaporeon. Especially when they see where I put you in some pictures ..where we went! I pick this as my entry photo: Picky Pic! Hi! Today, I come to you with mostly some super weird wants! I'm not sure if I will be able to get these things, but it's worth a shot! Gigantic metal figures auction ending is less than 5 hours! Hey Everyone! Hope everyone is enjoying their weekend :) Just wanted to let everyone know that my metal figure auctions will be ending in less than 5 hours! They end 7 p.m. P.D.T tonight! Also on a side note, I will be gone this next week to the east coast so will only be able to ship everyone's figures who pay before 3 PDT on Monday 13th. Otherwise they will not be shipped until I come back on the 21st. When I first joined this community, I was strictly collecting plush. I enjoyed collecting plush mainly because it was something I wanted to share with my future son or daughter, and something I can experience with my girlfriend. After a few months of collecting, I started to go an a spending frenzy. 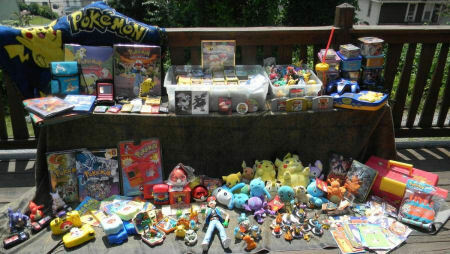 I would purchase many items, and my collection went from a small plush collection to a huge room dedicated to pokemon. my plush question is about this mantyke plush I recently bought at my local thrift shop, I already have 3 or so of the Jakks mantyke plush but I bought it because the tag confused me or actually the two tags I am wonder why is the second tag there and upside down and does it signify anything? 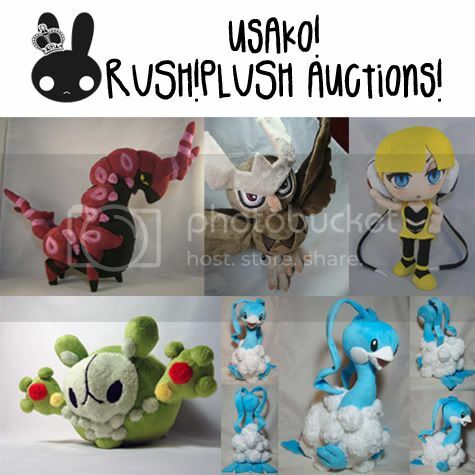 FIRST AND ONLY REMINDER - Plush Plush Plush Auctions! So yeah. Feel free to keep placing orders at my shop (please do! :D) but it may take more than 48 hours now to get back to you now. So I have been with the community for...3ish months? In this time i have managed to spend every and get more pokemon! CLICK HERE OR THE BANNER TO BE TRANSPORTED! ALSO, looking for custom plush makers again :D let me see some examples and rates and I'll see if I'm interested <3 Thanks again! Just a quick entry but I hope you guys enjoy! 1. Gligar/Gliscor settei I recently got 4 settei in the mail and I am hooked! There's quite a few others I am looking for so if you happen to have settei you want to sell, let me know! 2. Politoed Summer UFO plush Tagless ok! Most wanted plush right now. Thanks everyone, have a good week! i still have some mint-in-package Zukan left for sale, but since i apparently priced them too high, i lowered prices for them. These include european versions of Entei, Raikou, Suicune, Celebi (R/S/E Special version) and the Roserade line, which due to alterations in distribution do not include the Lopunny line. My intention behind, if anyone cares is to raise money to buy a birthday present for my mother as a surprise. Please take a look. And read the rules! I thought I'd make wants list and see if anyone has anything I'm looking for. I've been meaning to make one of these for a while now but I just haven't gotten around to it. Wants under the cut yo. upcoming Banpresto Eeveelution 'Chibi Kyun Chara' Figures + Wants Post! To add on to the recent news about the November Pokemon Center Eeveelution campaign, I bring you more reasons for your wallets to cry - Banpresto releases a series of Eevee, Vaporeon, Jolteon and Flareon "Chibi Kyun Chara" FIGURES in January! Based on the descriptor "ちびきゅんキャラ", could they possibly end up looking like these? I truly await in anticipation for the first peek at how these (and the DX Flareon and Jolteon plush, also released in January) would look. XD Banpresto is on a major roll quality wise with Partners and Waza Museum - if these Eeveelution figures turn out even half as glorious as those...hoo boy! And 'Vol. 1' means more will come, and since this isn't classified under 'I <3 Eevee', heaven knows what else they might release under this series! Ahem, in more important news, I have a small wants list! 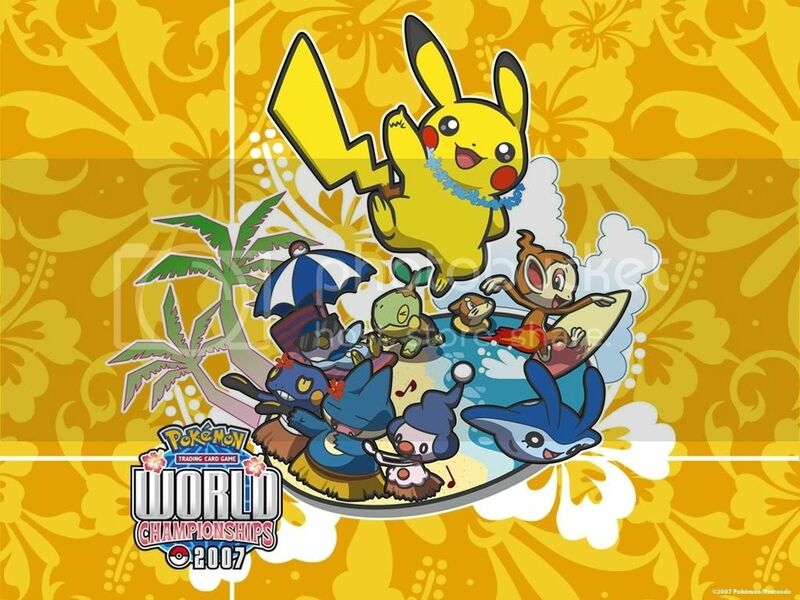 2) The following kids from this BW kid set: Sawk, Mienshao, Lying Pikachu! 3) JUST THE EMPTY BOX for the Meowth Pokedoll Ichiban Kuji prize! Please let me know if you have any of these! Thank you so much for reading and have a great week ahead! I have some offers up for you guys. All info and photos under the cut! Please wait until threads are up to start offers and/or questions. 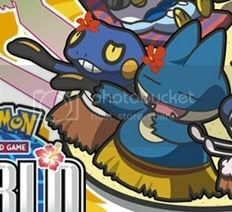 They have a 3d texture, are very shiny and have dynamic-ish backgrounds like the new AEON can badges. 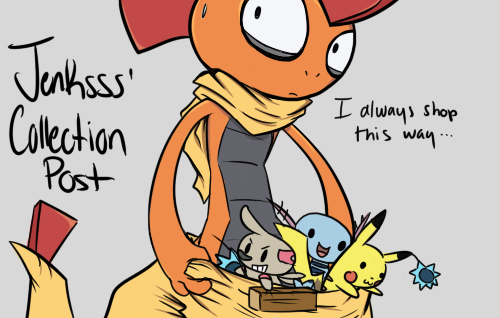 Most of them feature AG Pokemon. If you know who made them/have more images I'd be very interested! They look like Ensky products, though I could be wrong.